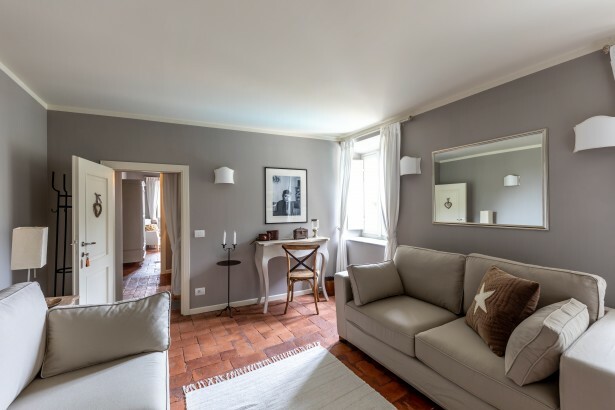 This Tuscan gem, beautifully restored with luxury appointments and radiating charm, is now one oft he most sought after B&B´s in the Tuscan region. 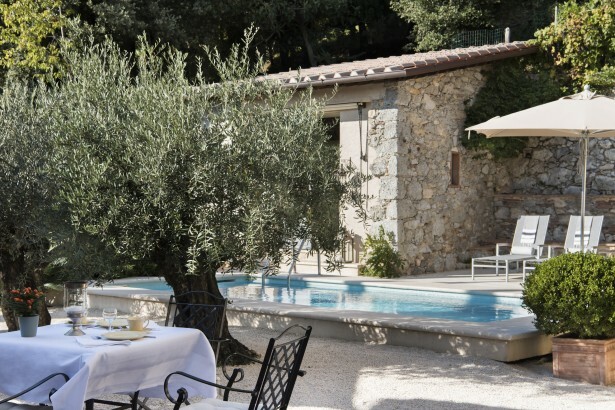 An original Tuscanstyle farmhouse with original goat and sheep barns, was lovingly restored to become: The Villa Montebello B&B. Villa Montebello, from its elevated position, overlooks the breathtaking Versilia coastline and the majestic mountains of the Apuan Alps. “Montebello” means “beautiful mountain” in Italian. 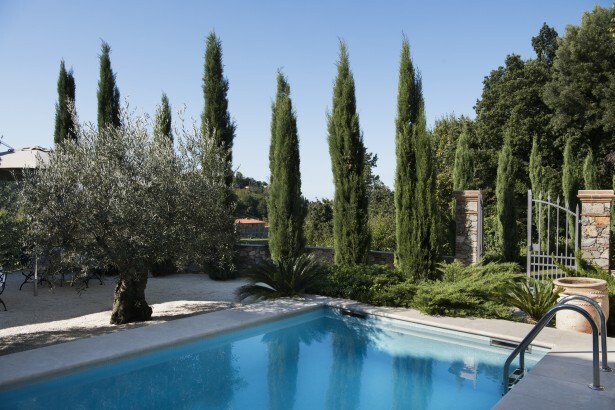 The total restoration of Villa Montebello was recently completed in the old traditional Tuscan style, with 100 years old chestnut beams, terracotta tiles and thick Tuscan style stone walls. This gem awaits you for the forthcoming spring, summer and autum seasons, It opens May 11 and closes Oct. 4. The unique, charming and romantic retreat will appeal to discerning guests who appreciate extraordinary decoration and design. 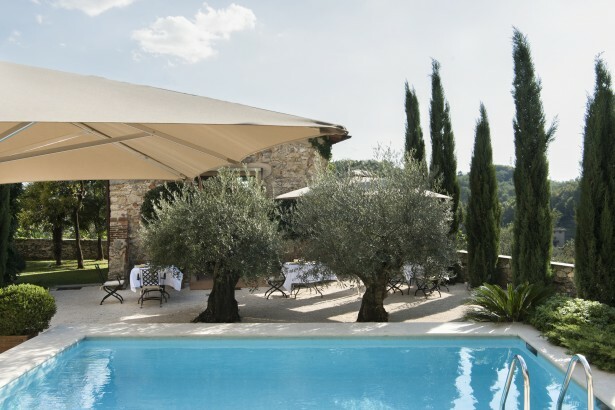 3 typical Tuscan farmhouse buildings are located around the courtyardand pool area: the main house, the roofed outdoor lobby and the pool house. 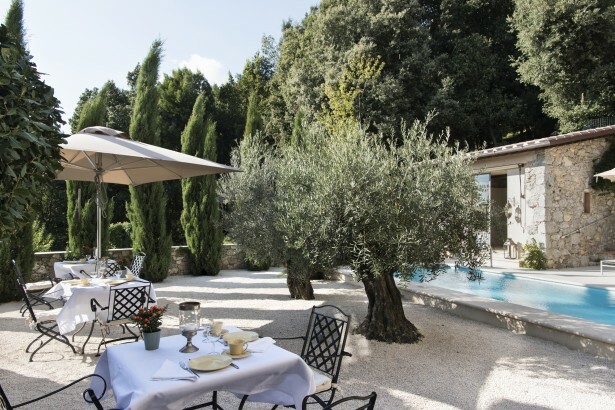 They are surrounded by a manicured garden, a sparkling pool and a gorgeous, gravelled terrace, flanked with 100 years old olive trees. 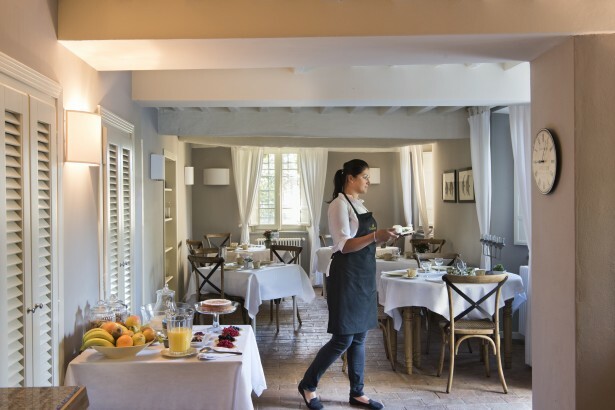 The pool area has got an original stonewalled goat and sheep barn, which has been restored and converted into the pool house, boasting all required guests´ comforts. This leads into a roofed outdoor lobby with wicker chairs and sofas facing the courtyard with its century old olive trees and a refreshing little pool beckoning you to sample ist splendor. Sun bed loungers, umbrellas and sitting areas are provided. 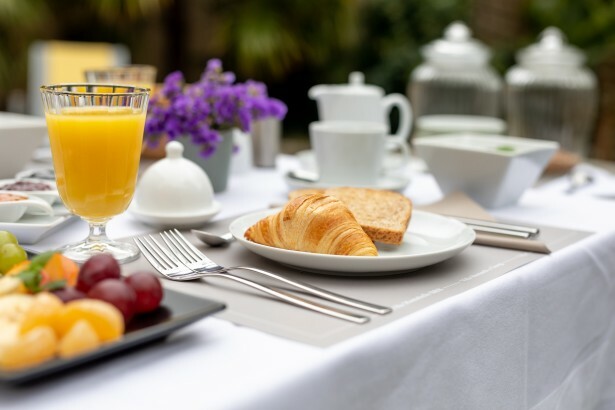 A continental style cold breakfast or English style hot breakfast will be served outdoors in the shaded terrace courtyard overlooking the distant hills of Tuscany or alternativly, depending on the weather conditions, indoors in the tastefully decorated and authentically typical Tuscan kitchen and dining area. Villa Montebello B&B is managed by its German owner, a former engineer and architect, assisted by 2 young professional girls. The team speaks fluently English, German, Italian and Polish. 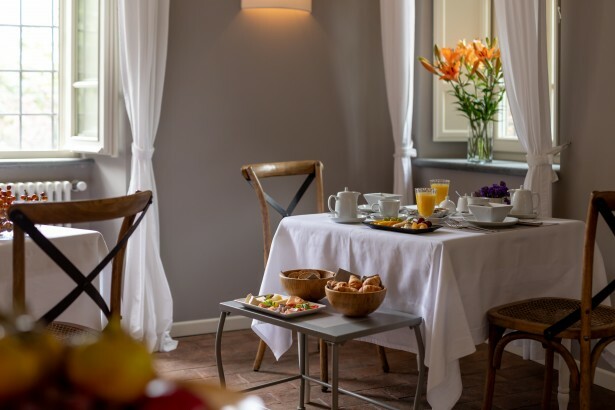 Villa Montebello B&B is an accomodation for adults only. It´s not ideal for guests with mobility problems and for drivers of sport cars and long sedans, since the private access is windy and steep, but perfectly paved. Smoking is strictly prohibited inside the villa. A seperate outdoor smoker area is however provided at the Boule de Petanque court. Pets of any description are not allowed.